New Vine Wine Tours – Long Island’s Premier North Fork Wine Tours. 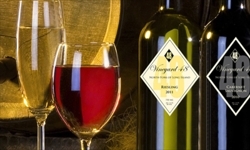 We also provide different Long Island wine tour packages for the ultimate experience. North Fork Wine Tours – Wined and Dined by the New Vine! If you are a fan of wine tasting, then North Fork Wine Tours have a surprise with you in mind! Tucked away on the 30-mile long peninsula call North Fork, is a place that is referred to as ‘New York’s wine country’. About 75 miles east of Manhattan, North folk is comprised of the charming town of Southold and part of the town of Riverhead, as well as the surrounding wineries. The landscape is truly breathtaking, and it is a great change from the hustle and bustle of New York City. The island itself offers beautiful views of the Long Island Sound as well as of the Gardiners Bay. It’s charming hamlets and apple orchards provide visitors with an authenticity and tranquility that just can’t be imagined in the big city. Easily accessible by both ferry and via the Long Island Expressway, it is not a hassle to get out to North Fork Wine Tours at all. Starting in 1974, the area was cultivated for wine making and other agrarian needs. Currently, the island is home to over 30 multi-generational wineries. New Vine Wine offers you the chance to experience these wineries first hand! These North Fork Wine Tours can vary from simple viewings and tastings to a full on wining and dining experience. Ideal for a romantic day out of the city, or as an anniversary present. 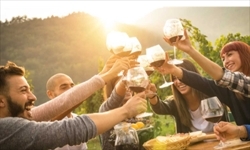 These packaged tours offer a variety of things, such as an all-inclusive option, a wine and dinner option, and an option providing a gourmet lunch! All of these deals have been carefully selected by New Vine Wine employees in order to assure that the customer is given the best and most authentic North Fork experience possible! In addition to this, New Vine Wine also offers customized tours. New Vine Wine’s North Fork Wine Tours are customized tours allow the customer to choose a winery that is perfectly suited to their needs. If one would like a tour of a smaller, although equally charming winery, that can all be arranged while booking a tour! Something else that sets New Vine Wine apart from others, is that they based out of the North Fork themselves, and have an intimate knowledge of the island and what it has to offer. Care to hear a live band play? New Vine Wine tours will be ready with recommendations! Looking for a nice bar or perhaps a Bed and Breakfast in the area. 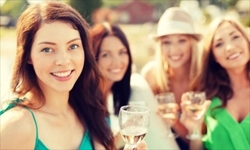 New Vine Wine tours will help you find the perfect location! If visiting in the harvest season, there are many agricultural events that take place on the island as well. Many of the local farms offer things such as pumpkin picking and other harvest-themed activities. Perhaps the best thing about North Fork Wine Tours is that they are completely open to your input as well. If you have a special idea about your wine tour, (perhaps you’d like to propose? ), New Vine Wine is very accommodating towards your ideas and will customize the tour as best they can to meet your wishes. So if you are looking to book a perfect day away. look no further! 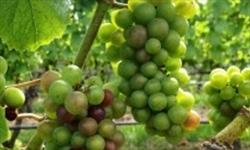 North Fork Wine Tours are able to make North Fork the perfect island destination for anyone. Give them a call today! © New Vine Wine. North Fork Wine Tours, All Rights Reserved.